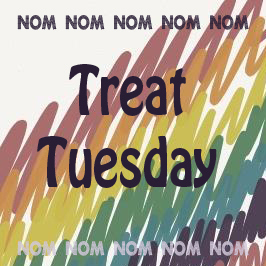 It's Treat Tuesday! 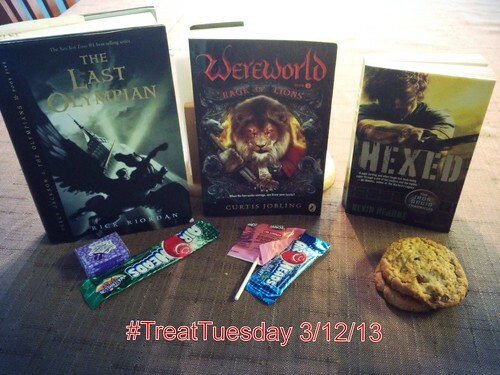 The weekly opportunity for my boys to beg for candy... er.... show you what we are all reading at my house! Stop by Niki's place at Daydream Reader, too. She's the one who started this fun weekly theme. Can you detect a bit of a theme here? My household is a bit into the fantasy genre, it seems. This week I upped the ante by making them write a sentence or two about the book they chose. His Thoughts: I like this book because it has tons of fighting and it involves the Underworld. --He's fascinated by Greek Mythology, and by things that are underground since he just finished the Gregor The Overlander series by Suzanne Collins. I have been reading him the second series, so he dove into the first one. Yeah, it's a bit out of order, but he didn't seem to mind. His Thoughts: In this series Drew, a farm boy's life is ruined after a monsterbreaks in to his house and kills his mother. He flees to the Dyrwood. I love this book for its fast-paced action. -- This was a series a friend at school got him interested in. Bonus points for a book that introduces the term "lycanthrope"! The second book in a series that reminds me a lot of the Dresden Files books. Lots of quirky humor and pop culture mixed into the urban fantasy setting. I'm treating myself to a "grown up" book!